Aqualitas Inc., the Brooklyn-based cannabis producer, hit a major benchmark March 29 when Health Canada awarded the startup its medical marijuana sales licence. That same licence also allows the firm to enter the recreational marketplace and begin supplying the Nova Scotia Liquor Corporation (NSLC) with cannabis products in early May. 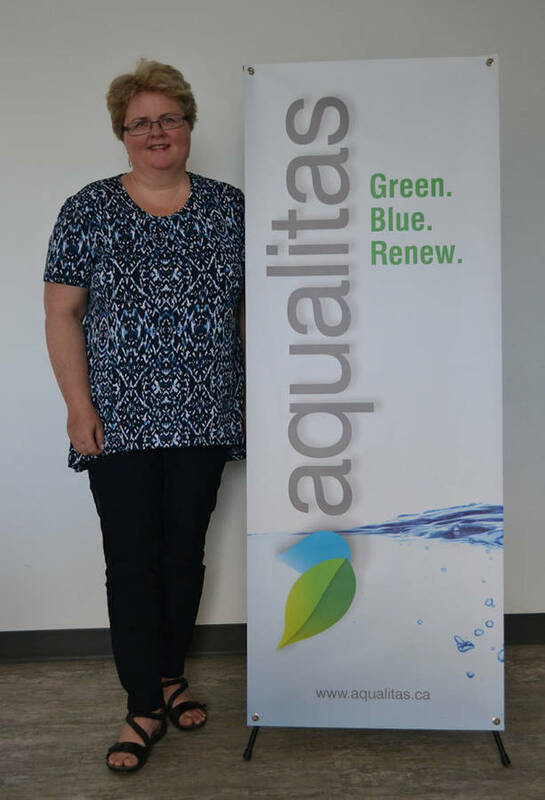 "This is a monumental milestone for our company, and one that we have been working toward for more than four years," Aqualitas CEO, Myrna Gillis, said in a news release. Aqualitas will soon register a limited number of medical clients and ensure its e-commerce platform and fulfillment processes are running smoothly before opening registrations up more broadly. The company&apos;s recreational product will be branded as "Reef," something a beleaguered NSLC will surely welcome given the corporation&apos;s problems with ensuring a steady supply of commercial grass to customers. The NSLC has struggled to maintain a supply of cannabis ever since the drug was first legalized on October 17, 2018. The liquor corporation is not unique in that respect; other vendors nationally have experienced shortages as well. Originally, the NSLC said that it issued an expression of interest to secure product from 14 cannabis suppliers, and previously said it initially expected to offer some 300 products representing 78 strains. But when the market launched the corporation was only able to offer less than 40 per cent of what it originally projected, which ended up being 97 products representing 52 strains. "We&apos;re pleased that our initial recreational roll-out will be to Nova Scotians. We have been so well-supported by this province and so proud to make our home on the beautiful south shore. We&apos;re excited that Nova Scotians will be the first to try our certified organically grown Reef products," Gillis said. Under CEO Gillis, the company is carefully cultivating its brand, declaring itself as a "woman-led licenced cannabis producer that is Clean Green Certified," and asserting its product is "safe, affordable [and] organically grown." The latter point might seem trite, but Moncton&apos;s Organigram Inc. is facing a class action lawsuit filed in the Supreme Court of Nova Scotia over pot that was alleged to have contained pesticides. The company voluntarily recalled affected product in December 2016 and January 2017, and argues that only "trace elements" were found in its cannabis. Aqualitas has stated that it aims to to put 70,000 square feet of cannabis into production at its plant in Queens County, and that, that amount could yield "literally thousands and thousands of plants." Once the company has its sales licence, it "will be able to enter the medical and recreational markets and export internationally," Gillis previously said..
Aqualitas expects their selling price would fall well within the current market range of $7 to $15 per gram for medical cannabis. Shortly after the announcement was made, Kim Masland, the Conservative MLA for Queens-Shelburne, posted: "Congratulations to Myrna and her team at Aqualitis Inc."
For Masland, it&apos;s good news, the first sign of a positive resurgence in the troubled county of Queens since Bowater shut down its lumber mill in 2012, taking hundreds of jobs with it and leaving the area floundering. Given the current trend for cannabis producers to launch their product and then take their companies public through initial public offerings, a move that can instantly turn early staff along with executives into multi-millionaires, Queens could conceivably look quite different in the not-too-different future.